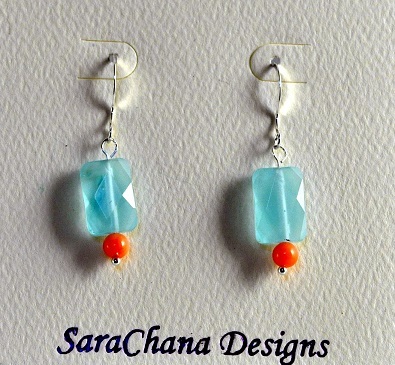 I use semi-precious stones and wire to create the unique jewelry of SaraChana Designs. I use my knowledge of the healing attributes of the stones to make jewelry that combines positive energy with beautiful appearance. 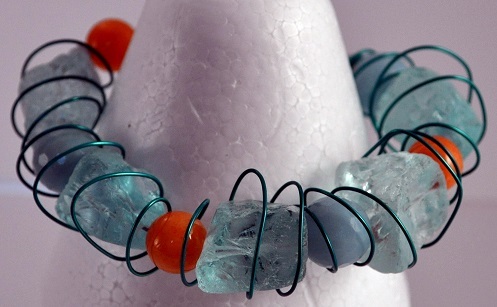 The wire describes the positive energy emanating from the stones. The squiggles are pure joy. Recognition of the stones’ emission of particular energies and the body’s ability to internalize them date back to ancient times. Lapis lazuli, for instance, has long been understood to strengthen spiritual energy, and carnelian to energize the mind’s creativity and memory. I first came to experience the effects of healing stones in 2004, when I was diagnosed with late-stage breast cancer. I was surprised to discover that keeping various stones nearby had a positive impact on the way I felt.